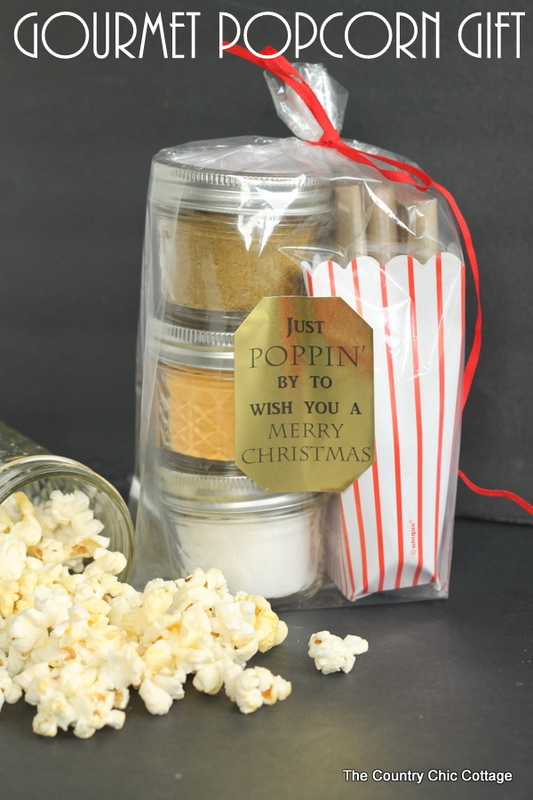 I am kicking off a week of great gifts in a jar with my gourmet popcorn gift below. You can follow along all week for tons of great mason jar gift ideas. You can also win a great Fandango prize pack below so be sure to scroll to the bottom. This is a part of the Laura Kelly Popcorn Box hop so you can see tons of popcorn box ideas at the bottom of this post as well. This post is sponsored by Online Labels as part of the Crafty Hangouts series all week this week. Stay tuned to Crafty Hangouts for tons of great handmade holiday gift ideas. You can watch the short video below to see just how to make this one for yourself. Super easy right? You can see the tops of the mini mason jars better in the image below in case you are wondering what the stamps end up looking like. 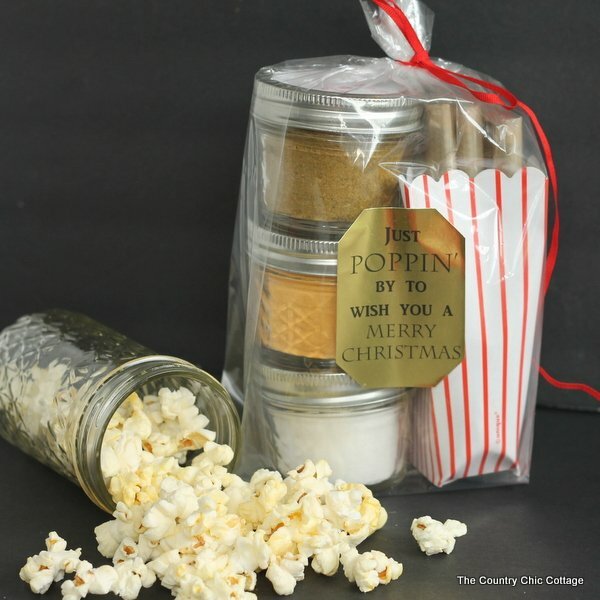 Grab your free printable above and labels from Online Labels to make your own great gourmet popcorn gift in a jar today. Now I promised y’all some more amazing popcorn box ideas. Click the pictures below to be taken to tons of fun ideas using popcorn boxes. And finally you can win an amazing prize pack by entering into the Rafflecopter widget below. The prize for the contest is a $50 Fandango Movie gift card, a pack of popcorn boxes from World Market and $45 of craft supplies to decorate with. Awesome right? Enter below and good luck! next post: Snowman Gift in a Jar plus a $400 GIVEAWAY! Yum. I just want to make that for myself. I LOVE popcorn. You always have great gift ideas. Thanks for sharing your creativity. So fun to be part of this event with you. Thank you so much for participating! You have the best crafty jar fun around! 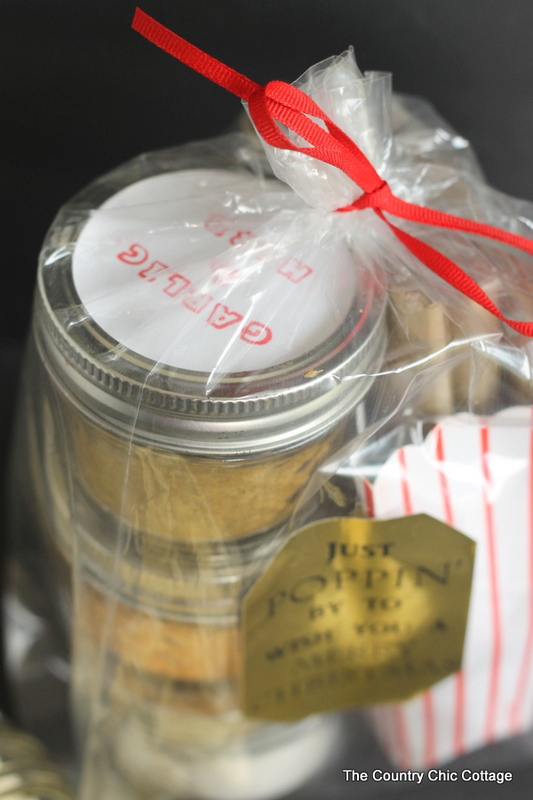 What a great idea for a hostess gift! 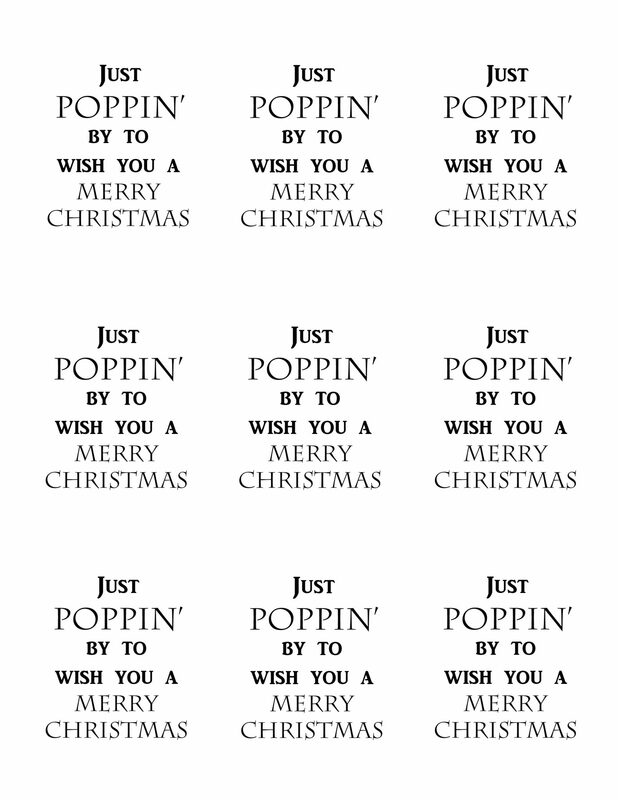 I love the “poppin’ by” label too! Pretty smart idea! Love it!